Find the right tour for you through Tavistock. 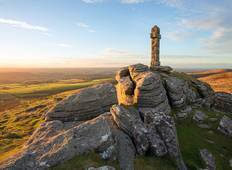 We've got 5 tours going to Tavistock, starting from just 3 days in length, and the longest tour is 12 days. The most popular month to go is May, which has the most number of tour departures. "Loved the small tour mini bus and the fact only 6 of us which made it much more personable...."
"The tour was well planned and organised. The guide Jamie was very knowledgeable...."